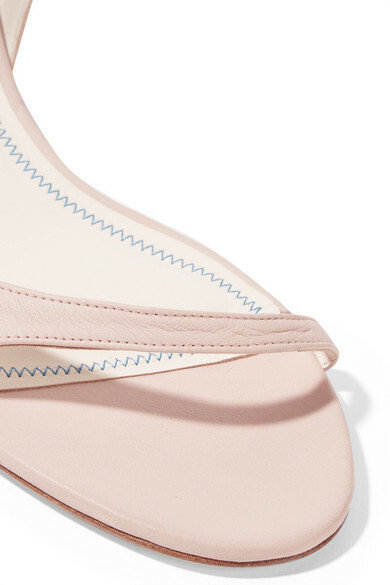 Barely-there sandals are taking over this spring, and Tibi's 'Scott Glove' pair gives the trend a modern look. Made in Italy from supple leather, they're set on 30mm heels and have delicate ties that wrap around your ankles before being secured into a pretty bow. The pastel-pink hue is just as versatile as classic neutral shades. 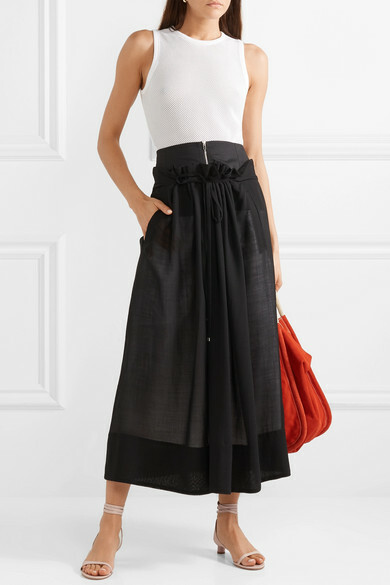 Shown here with: Tibi Skirt, Tibi Bodysuit, Proenza Schouler Tote.